Free Suite Upgrade & Shipboard Credit on Regent - Fugazi Travel Agency Inc. 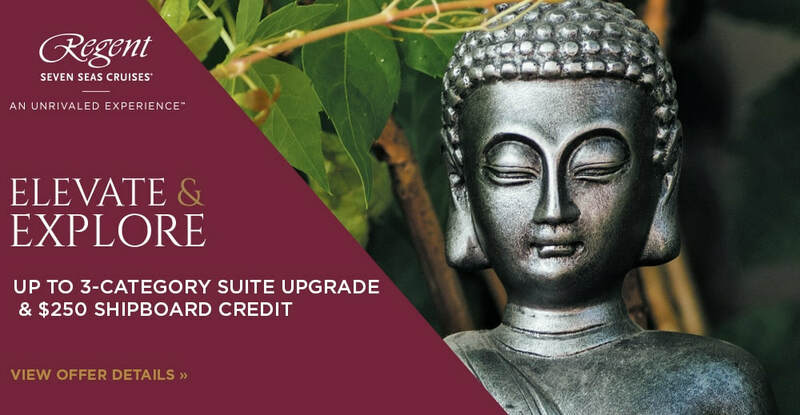 Explore in greater luxury with a 2- or 3-Category Suite Upgrade plus an additional $250 Shipboard Credit per suite on select voyages across Asia, Australia and New Zealand, and the South Pacific. In addition, on 11 voyages, they can also enjoy an enriching FREE Pre- or Post-Cruise Land Program that will reveal both the highlights and hidden treasures of these mystical lands for a beautiful prelude or grand finale to their voyage. 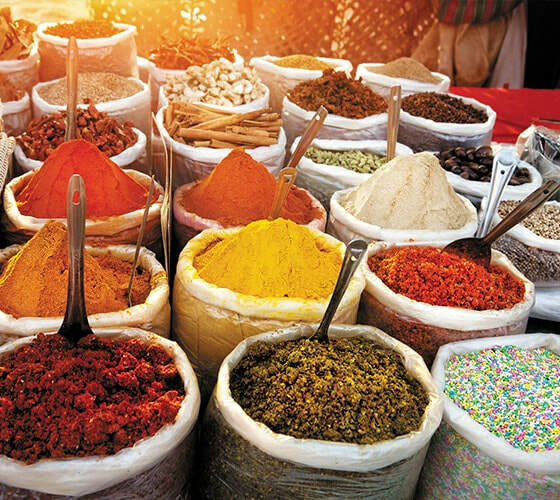 Every spiced flavor, every fragrant scent, every percussive sound will awaken your clients’ senses on this completely immersive India experience that features an included Land Program before or after the voyage. 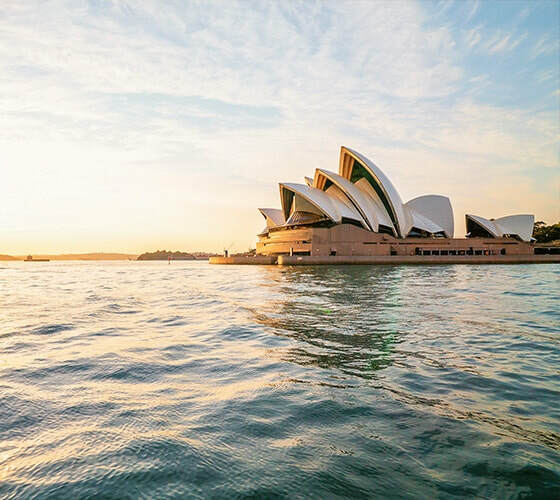 Your clients can spend Christmas in Bali, New Year’s in Cooktown and sail the picturesque east coast of Australia by the first week of 2020...in addition to a Land Program included before or after the voyage. 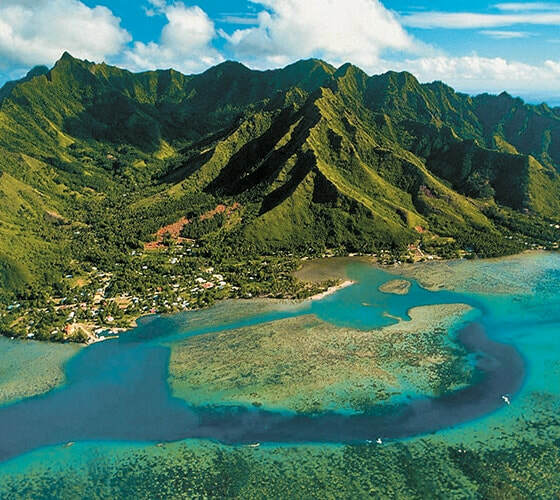 Spectacular sunsets, crystalline waters and verdant landscapes await your clients from Papeete to Sydney. This voyage culminates with an included Land Program in Sydney. *For full pricing Terms & Conditions and Guest Ticket Contract, visit RSSC.com/legal. Elevate & Explore offer is capacity-controlled and applies to new bookings only made beginning on 4/1/19 in the U.S. and Canada. Offer is combinable with standard published promotional offers and National Account Amenities, however, is not combinable with Canadian Dollars at Par, Single Supplement Specials, Non-Refundable Fares or Group Pricing, though offer is combinable with amenities and will count toward Tour Conductor Credits. On the November 16, 2019, December 6, 2019, December 20, 2019 and January 21, 2020 voyages aboard Seven Seas Voyager®, guests will receive a 3-category suite upgrade; book a Category H Suite and receive a Category E Suite, or book a Category G Suite and receive a Category D Suite, or book a Category F Suite and receive a Category C Suite, or book a Category E Suite and receive a Category B Suite, or book a Category D Suite and get a Category A Suite. On the February 12, 2020, March 13, 2020, and March 27, 2020 voyages aboard Seven Seas Voyager®, guests will receive a 2-category suite upgrade; book a Category H Suite and receive a Category F Suite; book a Category G Suite and receive a Category E Suite; book a Category F Suite and receive a Category D Suite; book a Category E Suite and receive a Category C Suite; book a Category D Suite and receive a Category B Suite; book a Category C Suite and receive a Category A Suite. On the December 5, 2019, December 23, 2019, January 3, 2020, January 23, 2020, February 8, 2020, March 13, 2020, and March 28, 2020 voyages aboard Seven Seas Navigator®, guests will receive a 2-category suite upgrade; book a Category H Suite and receive a Category F Suite; book a Category G Suite and receive a Category E Suite; book a Category F Suite and receive a Category D Suite; book a Category E Suite and receive a Category C Suite; book a Category D Suite and receive a Category B Suite; book a Category C Suite and receive a Category A Suite. Guests on all applicable voyages above will also receive a Shipboard Credit of $125 per guest, up to $250 per suite. Shipboard Credit is non-transferable and may not be redeemed for cash. Offer may be withdrawn at any time. Mention “ELEVATE & EXPLORE” at time of booking.